Tucson, AZ 13 January 2015 – The International Dark Sky Association, a leader in night sky preservation, is excited to welcome J. Scott Feierabend as its new Executive Director. Scott comes to IDA with a strong record of proven leadership excellence and more than 30 years serving the nonprofit environmental community. 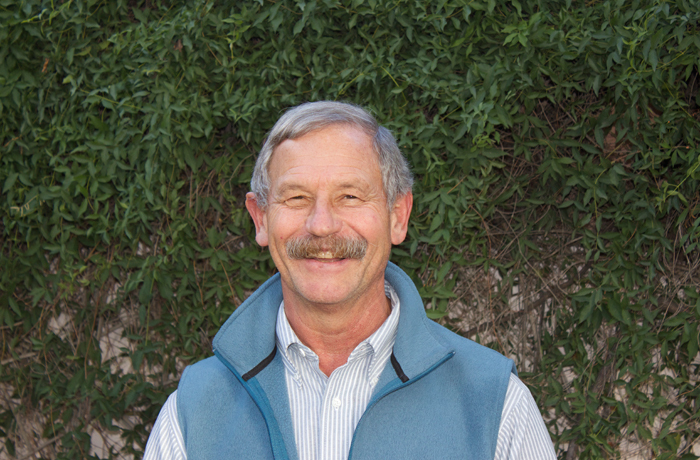 Scott most recently served as the Executive Director of Audubon Canyon Ranch, a nonprofit conservation education organization dedicated to protecting lands in northern California through land preservation, public education and conservation science. During his four and a half years at ACR, Scott created long-term financial health and stability for the organization and successfully negotiated the transfer of more than 3,000 acres of wild lands, more than doubling the nonprofit’s Preserve system. Prior to his work at ACR, Scott served as interim Executive Director and conservation director for California Trout, California’s leading nonprofit protecting and restoring California’s wild trout and steelhead. In his role as CalTrout’s Executive Director, Scott managed a multi-million dollar budget, and was responsible for budgeting, strategic planning, and board governance. Before leading the conservation work of California Trout, Scott served as Executive Director for the Marin Conservation League, a nonprofit working to preserve, protect and enhance the natural assets of Marin County, California. During his tenure at MCL, Scott cultivated new sources of financial support including increasing the organization’s membership by more than 80 percent within his first 18 months. Scott’s professional conservation career began in 1980 as an intern with the National Wildlife Federation, where he held a number of positions, including staff scientist, lobbyist, director and vice president. Following a 21-year career with the NWF, Scott served as the director of conservation programs for The Nature Conservancy’s Alaska Chapter. Scott has published numerous scientific papers on a variety of conservation issues including California’s native fish, the status of wetlands and lead poisoning in waterfowl and bald eagles. Scott is a native of Louisiana and received his Bachelor of Science in Biology from Emory University and Masters in Wildlife Biology from West Virginia University. Scott is a welcomed addition to IDA’s community of dedicated dark sky advocates. He will be working with the rest of IDA staff at the Tucson, Arizona office. The International Dark-Sky Association, a 501(c)(3) non-profit organization based in Tucson, Arizona, is the leading advocate and recognized authority for night sky protection. Since its founding 26 years ago, it has taken the lead in identifying and publicizing the adverse impacts of artificial lighting on wildlife, the climate and human health. IDA works with lighting manufacturers, city officials, parks and protected areas, and the public to promote the use of environmentally responsible outdoor lighting. It’s night sky conservation program, International Dark Sky Places, encourages and recognizes excellent stewardship of the night sky. Designations are based on implementing stringent lighting plans and public outreach programs that provide educational programming and outdoor night sky activities. Since the program began in 2001, IDA has certified 37 dark sky places, comprising more than 16,000 square miles. More information about IDA and its mission can be found at www.darksky.org.